Let me start off by congratulating Thidapa Suwannapura for winning the Marathon Classic. Suwannapura completed 72 holes with a score of -14 under par, tying her with Brittany Lincicome. When she birdied the first playoff hole, the trophy was hers. It was the first LPGA victory of her career. Pernilla Lindberg winning a major championship has been the year's biggest surprise to date. 1- Pernilla Lindberg - Pernilla winning the ANA Inspiration has definitely been the biggest surprise of the year so far. I say "so far" because we still have a dozen tournaments still to be played (two of them majors), and this has been a crazy season. Pernilla followed up her major victory with another top ten and has five top 25 finishes. She finished 2017 #61 on the money list, and currently occupies the #17 position. 2- Charley Hull - Charley is having that breakout season that we have been expecting from her for some time now. She has been as consistent as any player on tour. Her twenty-five consecutive cuts made rank second on the LPGA Tour. She has teed it up 15 times this year, and has only finished outside the top 30 three times. She has five top ten finishes. She finished 2017 #46 on the money list, and is currently #19 this year. 3- Lindy Duncan - Lindy has been flying under the radar all year. She might be the best player on tour that hardly anyone knows. She has missed just one cut all season, and has finishes of 2nd and 4th place this year. She has finished in the top ten 3 times, and the top 25 eight times. Lindy finished #92 on last year's money list and ranks #29 this year. 4- Wei-Ling Hsu - Another player that is having a quiet but very good season. She has two top five finishes this year, and has finished in the top ten three times. Number 70 on last year's money list, she is currently #28. 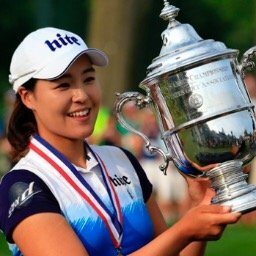 5- Jin Young Ko - Some will say that this is not a big surprise because of her success on the KLPGA. 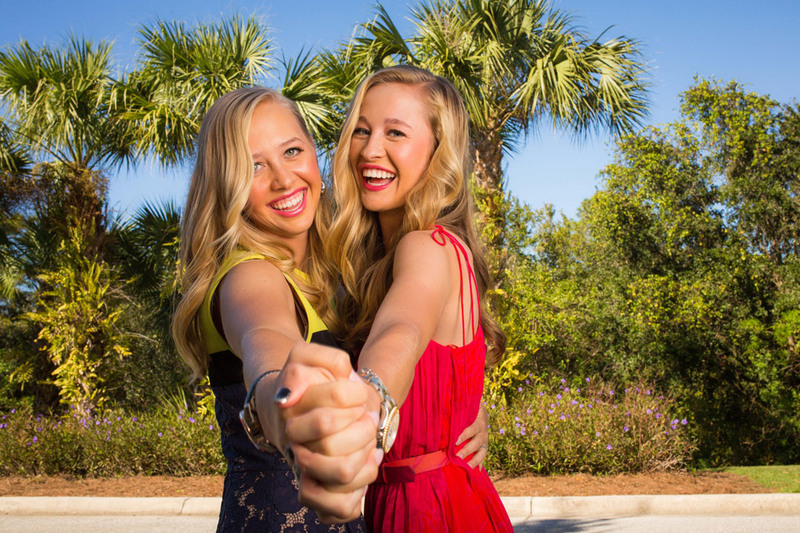 I say "being successful on other tours doesn't guarantee success on the LPGA." We have seen many stars from other tours struggle on the LPGA (even a few from the KLPGA). Ko is not one of them. She won early this year, and seems to be in contention every time she tees it up. She has not missed a cut this year, and has eight top ten finishes. She is currently #9 on the money list. 6- Emma Talley - Another rookie that has made a big impression this year. She has gotten better each week as proven by her finishes of 3rd and 5th in her last two starts (going 31 under par in those two tournaments). She has three top five finishes and four top tens this year, and is quickly moving up the money list where she now sits at #35. 7- Bronte Law - Big things were expected from Bronte last season, but they never materialized as she finished just ninety-third on the money list. This year has been a different story. In sixteen starts she has missed just one cut and has three top ten finishes. Her nine top twenty-five finishes show how consistent she has been this year. Bronte is currently #45 on this year's money list (up from #93 last year). 8- Ryann O'Toole - Now in her 8th year on tour, Ryann is finally showing the consistency that has been missing until now. It has always been a struggle for her to retain her full time playing privileges, but that will not be the case this year. Her third place finish in Arkansas a few weeks back has been the highlight of her season which includes five top twenty-fives. Ryann finished #74 on last year's money list, and currently resides at #46. 9- Annie Park & Thidapa Suwannapura - I have been struggling with deciding whether or not to include these two young players on this list. I have decided to put them here. Neither player has shown any real consistency this year. But they both had victories that have come out of nowhere, and have to be considered a surprise. Honorable mentions: Wichanee Meechai, Mariah Stackhouse, Celine Herbin, and Caroline Inglis. Haru Nomura has been the biggest disappointment of the year to date. 1- Haru Nomura - Haru won twice on the LPGA Tour in 2016, and won again last year. This year we have not seen anything that resembles that player. How bad has it gotten? Haru has started 15 tournaments this year, and has not had a top thirty finish. She also has missed the cut eight times. She finished #35 on the money list last year. This year she resides at #131. 2- Alison Lee - Alison's slump began last season and has just gotten worse this year. A lot worse! You wouldn't think it possible, but her best finish this year in twelve starts is 62nd place. That's not a typo, 62nd place it is. She has missed the cut nine times. Her current ranking of #164 on the money list makes her a candidate for the qualifying tournament later this year, if she wants to play again in 2019. 3- M.J. Hur - If anyone has seen the real M.J. Hur please let us know, because the person playing on the LPGA Tour this year doesn't even resemble her. Hur has teed it up fifteen times this year and has only finished better than 50th place three times. She finished a solid #14 last season on the LPGA money list, but has fallen all the way down to #102 this year. 4- Brittany Lang - After being on this list last year, it figured she had nowhere else to go but up. Not so! 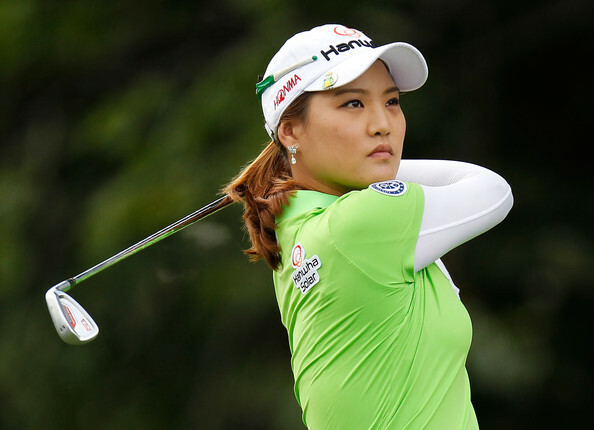 In sixteen starts she has failed to register a top twenty finish and has missed eleven cuts. In 2016 she finished #9 on the year end money list. Last year she dropped to #68. This year she currently sits at #135. 5- Candie Kung - It has been the worst season of her career by a wide margin. In twelve starts she has missed half her cuts (has missed her last four) and does not have a top twenty finish. There is still time, but she needs to improve on her #126 money list standing soon. 6- Mi Hyang Lee - After a decent start to the season, it has been a complete meltdown. She has missed the cut in each of her last six starts, and nine times this season. Coming off a strong season where she finished #22 on the money list, she has fallen all the way to #96. 7- Mirim Lee - Another player that is having a puzzling season. 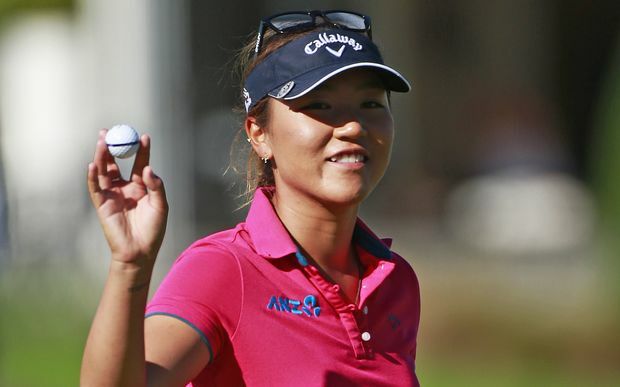 Mirim has been a top player for a few years now, but has not flashed that form this year. In fifteen starts she has just two top twenty-five finishes with six missed cuts. After finishing a solid #20 on last year's money list, she is currently holding down the #67 position. 8- In Gee Chun - It has not been a bad year for In Gee, but it has been a disappointing one. This is a lady who has won two major championships, and we expect better than what we have gotten thus far. Not only hasn't she won this year (or last year), but has managed just three top ten finishes. In Gee finished last season #11 on the money list. This year she is still a respectable but disappointing #37. 9- Lexi Thompson - Can a person that has three top five finishes and five top tens this year, be a disappointment? Yes! Even if it's a mild one. Lexi is the #1 American player in the world and we expect her to win. Our expectations are very high. She has come close numerous times this year, but close is only good in horseshoes and hand grenades. Lexi finished #3 on the money list last year, she currently resides at #15. Lexi Thompson has now made 30 consecutive cuts. Charley Hull has the second longest streak with 25. Thidapa Suwannapura became the fifth first time winner on the LPGA this year. This was the 6th tournament that has gone to a playoff this year. There have been 18 different winners in the first 20 tournaments of the year. Thidapa Suwannapura makes the biggest move this week, leaping from #161 to #95 and into my strength of field rating. Also moving into my field rating is Emma Talley who jumps up from #101 to #94. Brittany Lincicome moved up from #34 to #30. Ariya Jutanugarn continues to lead with a total of 2,654 points. She is followed by her sister Moriya with 1,860 points and Minjee Lee with 1,805. Brooke Henderson leaps into the top five this week with 1,692 points. Nasa Hataoka rounds out the top five with 1,690 points. Jacqui Concolino has three top eight finishes in her last four starts. Emma Talley has finished 3rd and 5th in her last two starts. Brittany Lang has missed eleven cuts in her 16 starts this year, and has not finished better than 25th. Yani Tseng has now gone 70 starts without a top ten finish. Paula Creamer is a seven time member of the U.S. Solheim Cup Team. How many of those teams were victorious?